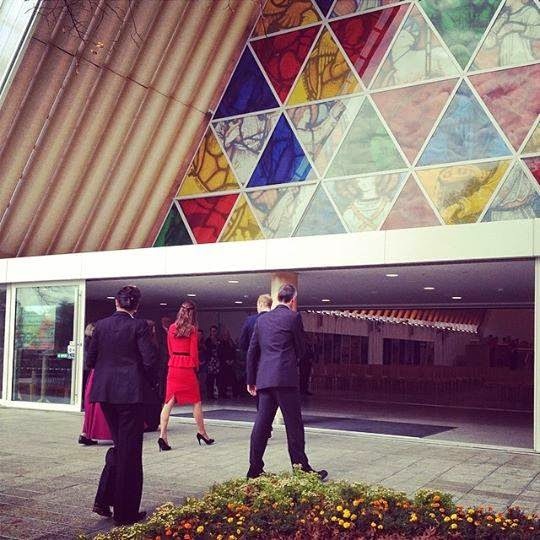 The Duke and Duchess of Cambridge arrived in Christchurch, where they were formally welcomed by Mayor Lianne Dalziel and elder members of the Ngai Tahu tribe. 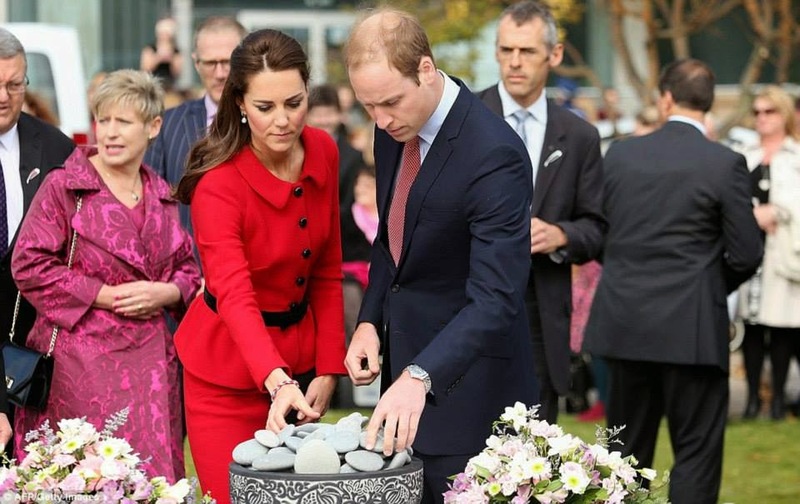 Then the Royal Couple visited to the CTV memorial park to pay their respects to those who lost their lives in the February 2011 Christchurch earthquake. The Duchess chose a red Luisa Spagnoli suit cinched in at the waist by a black belt and a Mulberry purse.